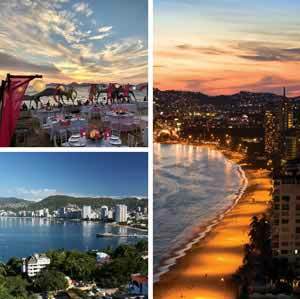 Travel one of Mexico’s beautiful city Acapulco. 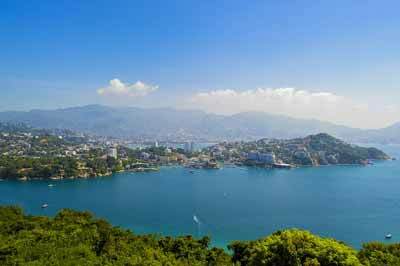 Acapulco, Mexico is a tropical paradise with a lot to offer in terms of culture, history, food and women. Its beautiful beach fronts and blue sea waters attract millions of visitors from all over the world. Aside from lounging and swimming under the sun, a variety of water sports and aquatic activities can be enjoyed. The city’s ideal location makes it a great spot for water skiing, sport fishing, scuba diving, cliff diving, snorkeling and bay cruises. Those in nearby countries take advantage of Acapulco's year-round tropical climate. It's more than just golden beaches and fiery red sunsets; nearby are lagoons, jungles, mountains and historical locations. Acapulco used to be Hollywood's "Ibiza" with its beautiful beaches by daylight, and night parties and nightclubs in the evening. However, it did not mean that Acapulco's tourism and nightlife stopped. In fact, it has boomed more than ever. Acapulco is a tourist city that's been receiving a lot of negative press from narco violence, gangs, and homicide. Despite this, the place is largely protected by the police officers and it is highly-safe. Just remember to behave like you would in any other place and do not get involved in illicit activities like drugs; through this, you'll never have any problems. This is a location that most tourists don't go for because of its distance. However, the one-hour travel time is worth it because it's off-the-beaten-path takes you away from crowds and expensive prices. Barra Vieja is a great introduction to the laid back Acapulco lifestyle - best enjoyed with roasted fish, a lovely margarita and lots of sunscreen for the open ocean views are magnificent. This Acapulco beach fits for any family gatherings or even to a romantic getaway you are planning with an Acapulco woman. This site is one of the most popular tourist attractions in Acapulco for good reason! Local cliff divers jump from cliffs as high as 80 feet and they have to be in line with the crashing waves of the ocean. Dangerous but exciting, cliff diving is one of the most unique things that Acapulco has to offer, and shows are available for the public every day. Night shows with dinners are extremely popular in this place; this trip is highly recommended for those who do not enjoy the intense Acapulco afternoon heat. This centuries-old fortress turned museum is one of the oldest buildings in Acapulco. It was built by the Spanish Empire in the 1600's and is a popular landmark in Acapulco. Walk through the history of the fort through its historic museum and learn how it was used to protect the city from pirates of yesteryears. This is a popular tourist spot for those who are into snorkeling and diving tours. The high point of this destination is the submerged Virgin Mary statue, or the Virgen de los Mares. Snorkeling guides say that those who visit the site may find it difficult to see her sometimes because the water’s clarity depends on the tide and weather. For travelers out there, you should not overlook this spot during your trips to Acapulco. There are plenty of tour companies that offer the scenic cruise along the coast of Acapulco. This is a must for people who enjoy a slow and picturesque view of the historic town in all of its glory. The best time for a cruise is during the sunset when the embers of the sinking sun are at its most beautiful, or during at night when the night sky is so dark that the moon and stars are at their brightest. Immerse yourself in the local flora and fauna as you witness Acapulco's nature up close. Traverse through the mangroves, look at exotic birds, hear their unique calls and experience net fishing. This spot is for luxury travelers who prefer to experience Acapulco's beaches from their beachfront hotels. Although more crowded, it has a great access to a number of water sports that can be easily availed of anytime. Numerous restaurants and shopping outlets are also present nearby. Acapulco is located in the state of Guerrero overlooking the Pacific Ocean which makes it an ideal tropical destination for tourists from colder climates. It is about over 200 miles from Mexico City and around 85 miles from the Chilpancingo, the capital state of Guerrero. 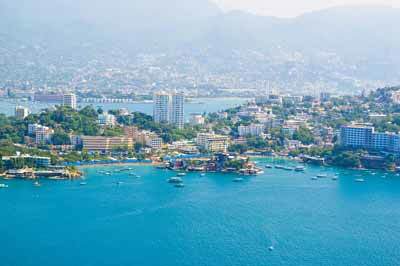 Acapulco is a natural harbor, which is why it was chosen by the Spaniards as their naval launching point for its fleet of ships. The city is made up of a large percentage of mountainous terrains, some lagoons, thermal springs, rivers and the rest are flat terrains with certain areas occupied by forests and urban dwellers. Like many tropical countries, Acapulco has wet and dry seasons. The highest recorded temperature is near 40 degrees Celsius with the warmest areas in the city proper near the sea. It experiences hurricanes and tropical storms from May to October. There are many ways to get to Acapulco - either by air, land or sea. Major airlines have direct flights to the city or connected via Mexico City. There are hundreds of flights going there every week with sharp increases during the winter time. Those coming from the US may travel for about 3 to 4.5 hours and land in the Juan. N. Alvarez International Airport (ACA). International travel packages with hotel bundles are available for international travelers. Cruise companies regularly dock in Acapulco as it is the second largest port in the country. Those who opt to drive to Acapulco from Mexico City are recommended to travel via the new superhighway dubbed as "Highway of the Sun" and it takes 3.5 hours. Those who prefer to take the scenic route or experience the introduction of the Acapulco tourism will need about 5 hours travel time, but there are many comfortable pit stops and cities that can be explored along the way. There are a number of ways to get around the historic city of Acapulco. Rides include taxis, rental cars, and buses. Taxis are usually on a "by agreement" basis between you and the driver. Cab rides may usually cost at least 12 pesos depending on the destination. Hotels can also arrange for taxi transportation, but these are usually inflated on a fixed rate. You never have to worry about getting around in Acapulco because there are many taxis in the area. Rental cars are usually good ways to get around the city if you prefer driving yourself around. Plus, the gas is cheap too. This is not recommended, but not discouraged either. Acapulco has heavy traffic, lack parking spaces, and tourists who do not know the area well may get lost. Buses on the other hand, are cheaper and fully privatized by companies. There is no bus stop system in Acapulco. One only has to wave his arms at the side of the road to get the attention of the bus driver to get on. When in Acapulco, it is a must to experience traveling by buses because of the unique experience it offers. Some are fully and lavishly decorated with UV lights and loud Mexican or dance club music. Buses cost around 5 or 6 pesos and are usually air-conditioned. a sojourn in Acapulco, Mexico. Make your stay in Acapulco, Mexico incident-free and enjoyable. US citizens traveling from the United States should have a passport with at least six months validity from the date of departure from the country. Those outside the US, Australia, Argentina and from some European countries will need a visa. Tourist cards usually cost around USD 20. There is no need to fret over money exchange as Acapulco is a tourist destination. There are plenty of ATMs around and inside banks. The usual charge is around $5 and below. Credit cards are accepted in more expensive establishments, but it is a good idea to have cash on hand because transactions are easier. Internet connection is stable in Acapulco and can usually be availed in cafes and malls. For those who want to make international phone calls, it is recommended to use TELMEX pay phones as they are cheaper. There is no issue with Mexican food and it is plentiful in Acapulco. For those with sensitive stomachs, it is recommended to never drink water that is not bottled. Tips are accepted in Acapulco. Restaurants have a 10-12% service charge, while other services are not required to have tourist’s tip. Flight attendants or operators will be glad to accept these. There are many hospitals in Acapulco with English-speaking doctors. Hotels provide this information, especially in cases of emergency. Looking forward to travel to Acapulco, Mexico soon? Been wanting to experience the luxury of tourism in Acapulco? Why not go all the way and get acquainted with some Mexican women as well? 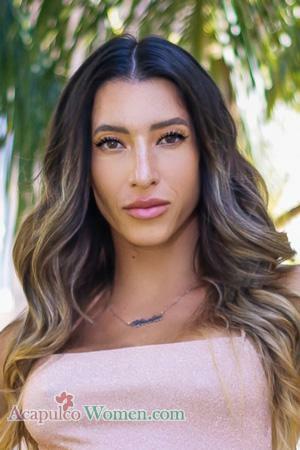 Check out how to meet women in Acapulco in this page for more information.